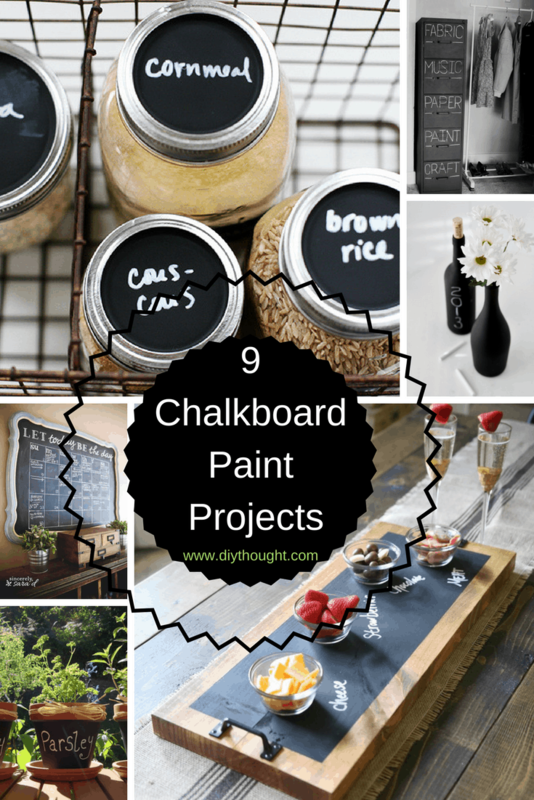 Here are 9 fun chalkboard paint projects that are more than just painting a wall with chalkboard paint. 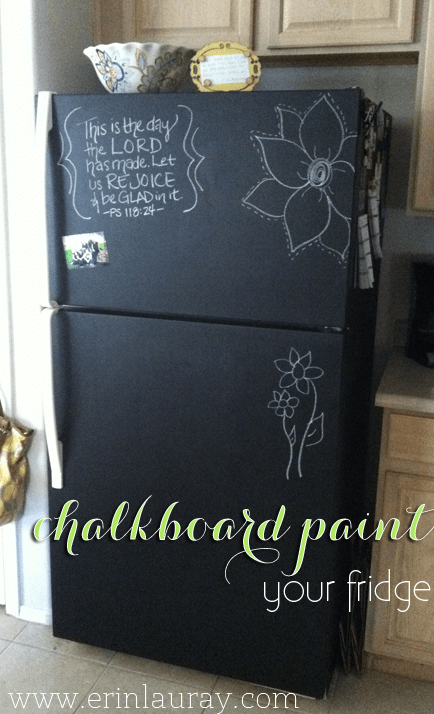 Sure chalkboard walls are fun but there are SO MANY other great ideas out there that put chalkboard paint to good use. 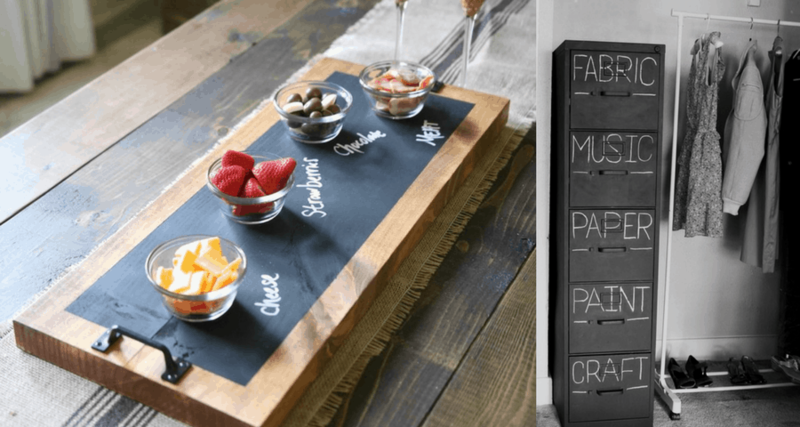 Never forget what herb is what with this nifty chalkboard paint idea. 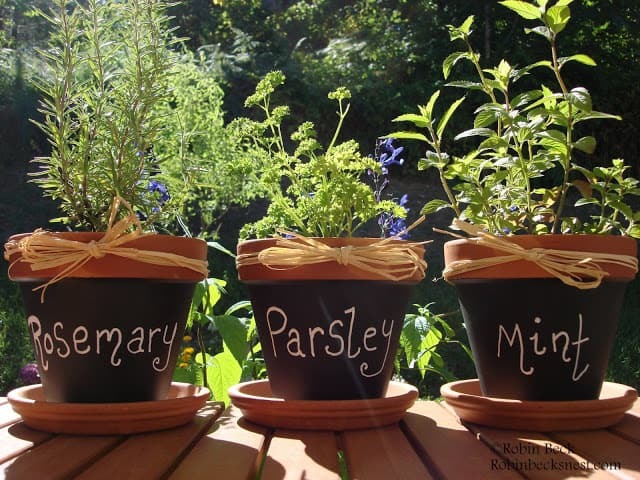 A chalkboard-painted herb pot would also make a lovely gift! Click here to find the full tutorial. This has got to be the most fun fridge around! Not only is it fun but it also looks super stylish. Follow this link to see the tutorial. 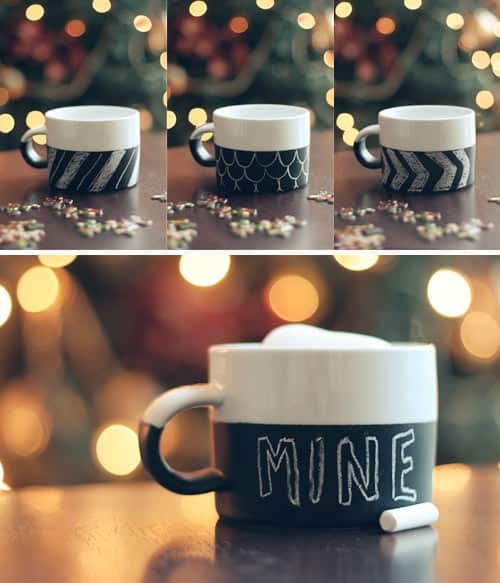 Get creative with these fun mugs. Find out more here. 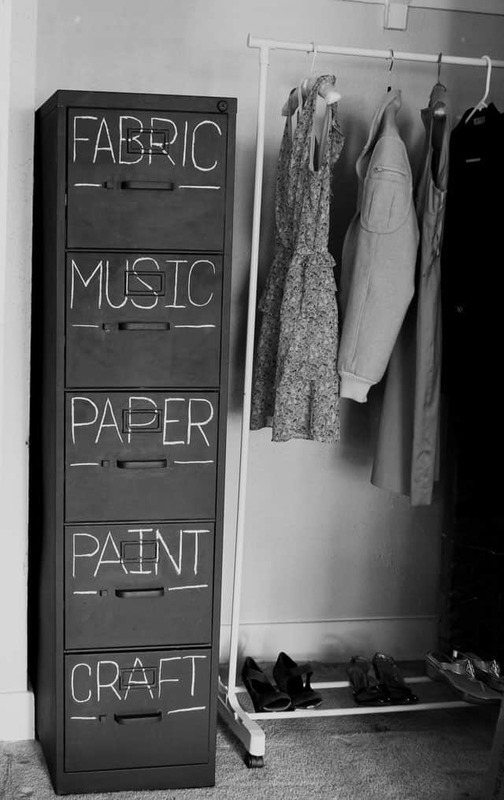 This filing cabinet looks super cool and there is no way you will forget what is in it! Read the full tutorial here. This chalkboard calendar completes any entrance way! It is stylish and beyond helpful for any busy person. 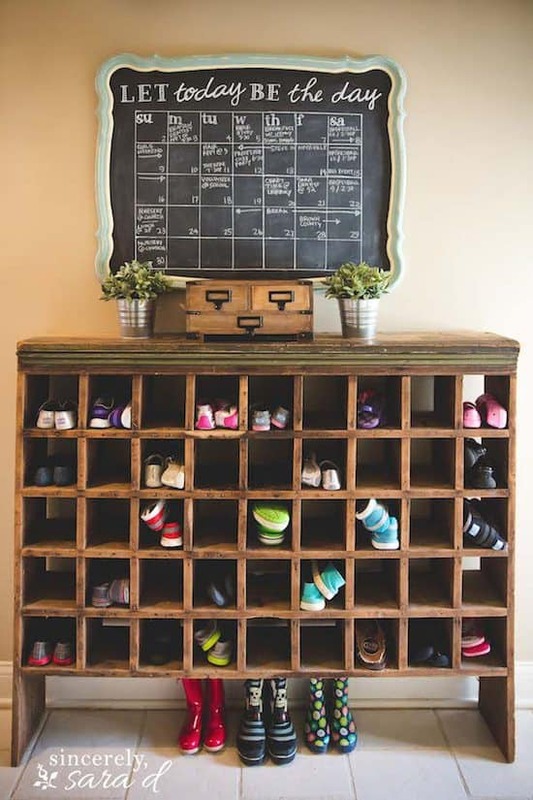 Side note: how amazing is that shoe rack?!! Follow this link to get the full tutorial. 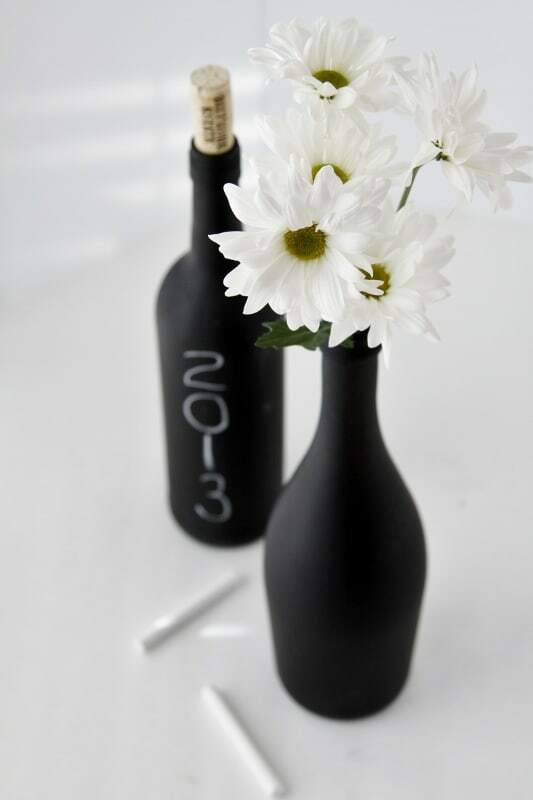 Transform empty wine bottles into stylish vases by painting them with chalkboard paint. These would look great as wedding centerpieces or with flowers in around the house. Find the full tutorial by clicking here. Cooking each night is SO much easier when you know what you are cooking! 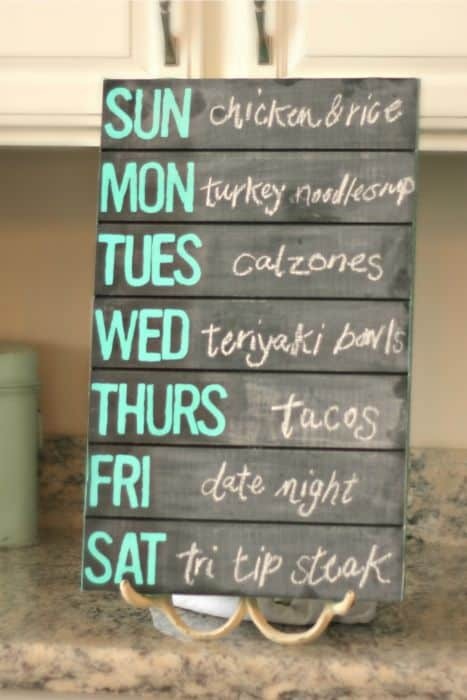 This chalkboard meal planner helps, plan out your weekly meals and write them down so there is no thinking involved on nights that it is too easy to talk yourself into getting takeout. Click here to view the tutorial. 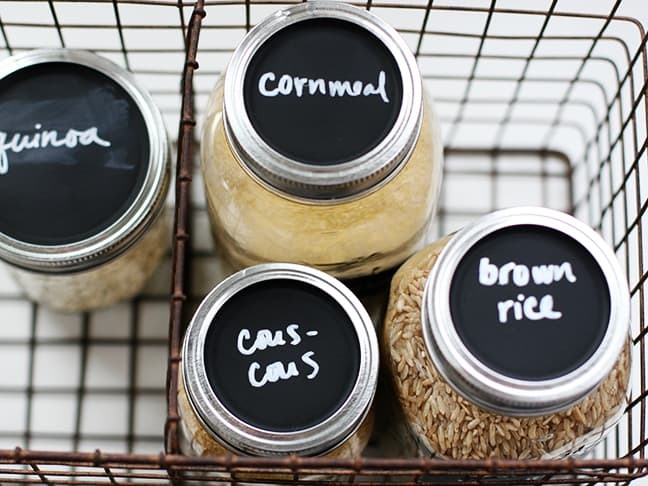 Never be confused by the contents of your mason jars again with these chalkboard painted lids. Great for the pantry or craft supplies. Source found here. 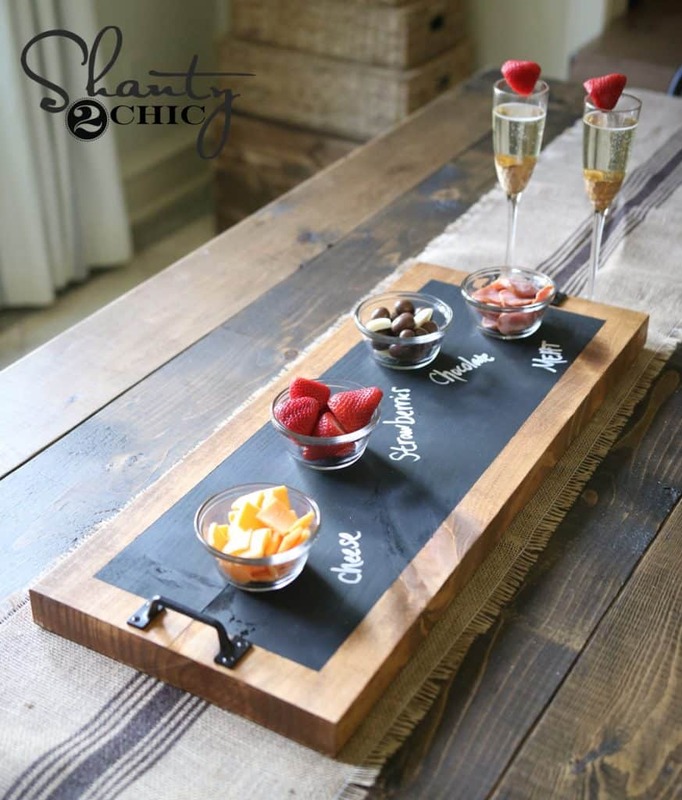 Shanty 2 Chic details how to make this amazing chalkboard painted serving tray from start to finish. The results are simply stunning.